As part of the Initiative on Men of Color, the Center has created online resources and tools for colleges’ free use to improve the programs and services they offer to men of color, thanks to generous funding from The Kresge Foundation. This focus group manual, a comprehensive “how-to” on conducting focus groups, was originally designed for the Center’s focus group work with six partner community colleges. Members of the National Advisory Committee and Center staff provided input and a careful review. 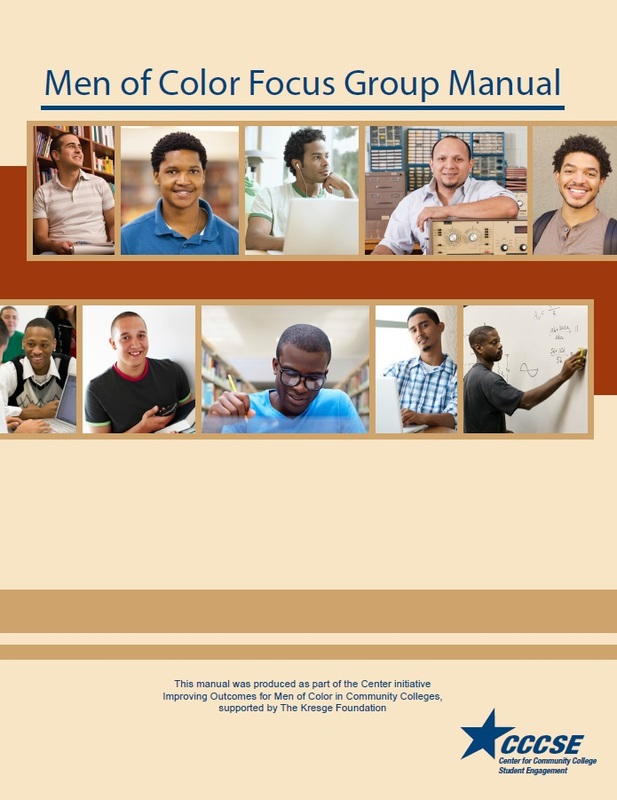 The components of the manual have been adapted and can be customized for wider use by all community colleges interested in improving outcomes for men of color. These fact sheets, one abbreviated and one longer, capture key findings collected through a literature review on men of color in community colleges. Sources include published works by members of the project’s National Advisory Committee and other experts on this issue, including members of College Board’s Advocacy and Policy Center, American Association of Community Colleges, Community College Research Center, MDRC, Center for the Study of Race and Equity in Education at the University of Pennsylvania, and Project MALES at The University of Texas at Austin, among others. The resources listed below provide additional support for college conversations regarding men of color.